Horticulturalist and village planning board chair Fred Cowett discussed the natural and cultural layers underpinning the historical development of the village. Made possible, in part, by a Tompkins County Community Celebrations Grant for the Centennial Speaker Series. 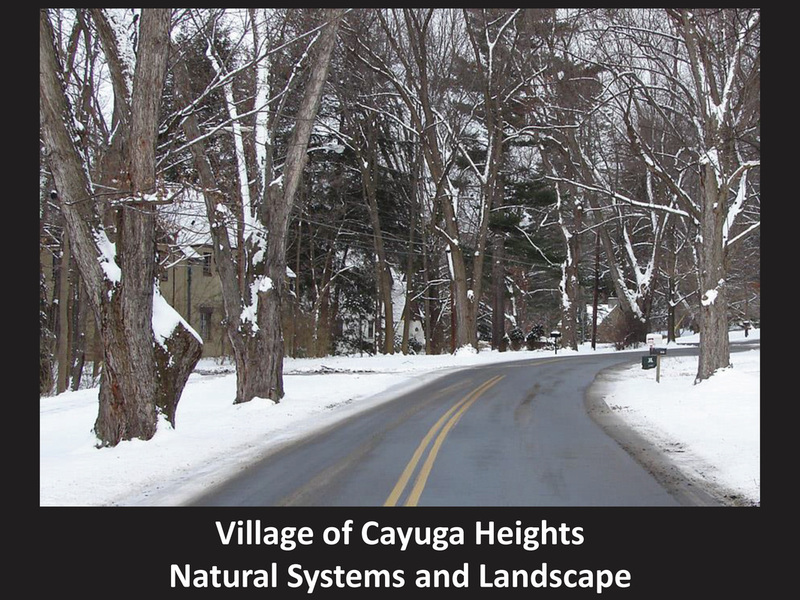 Click on the image below to view Fred's presentation with a wealth of maps related to the natural history of Cayuga Heights. Listen to the audio of Fred's talk by clicking the "play" arrow below.